Home » How To Get Your Android Cell Phone Data Back-up Remotely? Cell phone devices these days are very important ones and these are not less than micro –mini laptop and desktop computer devices. Years ago when the digital mobile phones introduced to the general public users just used of sending Voice messages only, but these days You can use it your smartphones for multiple activities. Now end user can share email messages, store contacts, multimedia in terms of photos and videos and other kind of documents. Moreover, contemporary android mobile phoned devices are important and powerful no time ever before. The amount of data stored into the cell phones has made modern cell phone devices important, but on the other hand, losing it would be disastrous. Therefore, the incident happens and you will lose your precious stuff stored on the smartphone you need to create data back up on the phone. 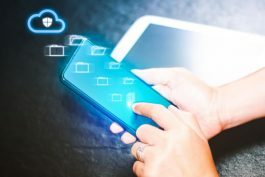 There are multiple techniques using Google and many other data backups’ app for android that you can use to back up an android cell phone remotely. Google OS owned by the Google empowers the android users to save and secure particular settings such as wireless network preferences, bookmarks and as well as dictionary words to their servers using Google account. You can easily do it with the following steps. Visit settings, access to personal and create back up and then reset, and choose both select and backup my data and store it automatically. However, all the procedure we are telling you may differ especially when it comes to Android devices, but the general method is quite relevant. When it comes to the data stored on your target Android device Google does not create back up such as messages, playlists, SMS, MMS, contacts and other things alike. All you need to do is to use the third party cell phone monitoring or data backup software. You can use this kind of high –tech software and you can remotely back up of your Android to the fullest. So, all you need to do is to visit the web and then you need to visit the android monitoring app websites and then you need to subscribe to the mobile phone data backup app for Android. Resultantly, you will receive passcode and ID through an email. Moreover, you need to get physical access on the target device running with Android operating system. Now get started with the process of installation and when you have ended up with then activate it on the target device. Moreover, you need to use the credentials in order to get access to the online control panel. Furthermore, you can visit multiple tools that empower you to get access to the target device data into the android. However, once you have installed the back software for Android on the target device. It will start syncing all the data available to the web portal of the mobile phone tracking app. In addition, it further pushes users ahead and empowers you to track all the activities happen on the target device in the near future and further you can save data as well as time to time. Let’s discuss all the tools that work as data back app for Android and further track activities in real –time on Android. End user can perform live screen recording on android in real –time and further you can get access to the data using control panel. You can monitor and secure the data of the Chrome activities, social media apps activities, YouTube, emails, SMS and others alike. End user can create data backup for android including social media apps in terms of logs such as text messages, Text conversations, audio and video conversations, and shared photos and videos. End user can protect and save the data in terms of visited apps and websites, emails sent/received and even text messages, SMS, MMS and others alike using android tracking app that you can use as data backup.